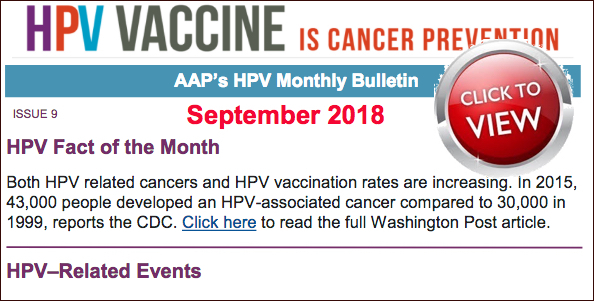 The AAP-CA2 HPV Vaccine Series Completion QI Project ended on September 26. All practices submitted their "Top five Lessons Learned, Takeaways, or Barriers ". These will be posted on this site shortly for future reference. Thank you for all your work and dedication! 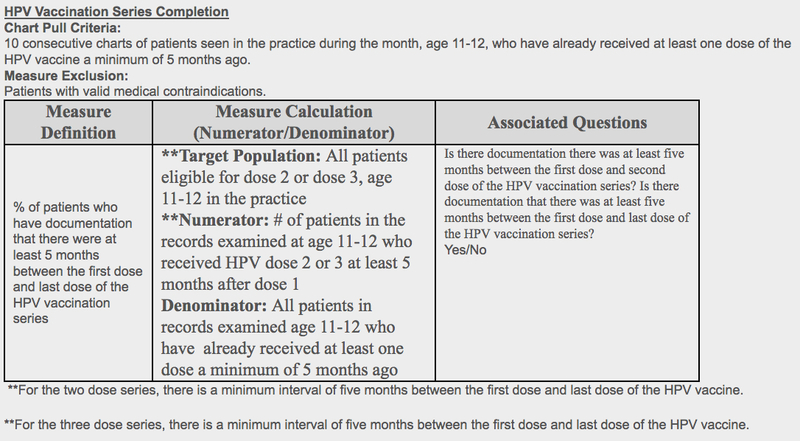 Pull 10 consecutive charts of patients ages 11 and 12 years who are due for the second dose. Ten total/combined for the practice (if multiple providers). See "Chart Pull Criteria" below. Upload collected data monthly onto QIDA (AAP's Quality Improvement Data Aggregator), to track progress and produce run charts. Participate in monthly webinars (On the 4th Wednesday at 12:15 PM). The next is on August 22. Complete the online Practice Provider Update. This survey is to be completed by the practice leader after the monthly call to reflect project participation for the practice for each Cycle. Monthly Data Collection Worksheet in editable EXCEL, or the PDF Version to print and annotate by hand (For data capture notes, to then upload onto QIDA). QIDA HPV Web Page (Requires AAP ID and Password). QUESTION: What was the most effective strategy you were able to implement that helped with HPV vaccine initiation/completion rates? Never mention HPV last in a list. “Today you’re getting Tdap, HPV, and Menactra” . Providing parents with proof of long-term studies showing vaccine efficacy and safety. CDC handout given to refusing parents, then followed-up with a call. Vignette written by father whose daughter had cervical cancer at age 23. Emphasize it is a Cancer Prevention vaccine. Get it now and only get 2 shots. Look-up patients turning 11 and call them to come in for an appointment. Provide information brochures to 9 and 10 yo to get them prepared. Tell parents “This vaccine is given at a young age because their immune system works better at this point”. CDC Vignette written by father whose daughter had cervical cancer at age 23. Created a roster of 10, 11 and 12 yo who had not come in for a physical. Ask refusers who researched online “what website were you reading?” and provide resources from credible institutions. When sick, schedule a follow-up appointment for the “illness” to vaccinate later. Immunization Record available from the beginning of the visit (and not go out to get it). Brought up HPV 3 times: Nurse mention on take-in, hand info at start of visit, discuss at end of visit. Congratulated parents for making the correct choice. It’s effective for MAs to mention the HPV vaccine. Taken as coming more from a peer. Explain that sexually is not the only transmission route. Also by touch. Summer Camp Forms. 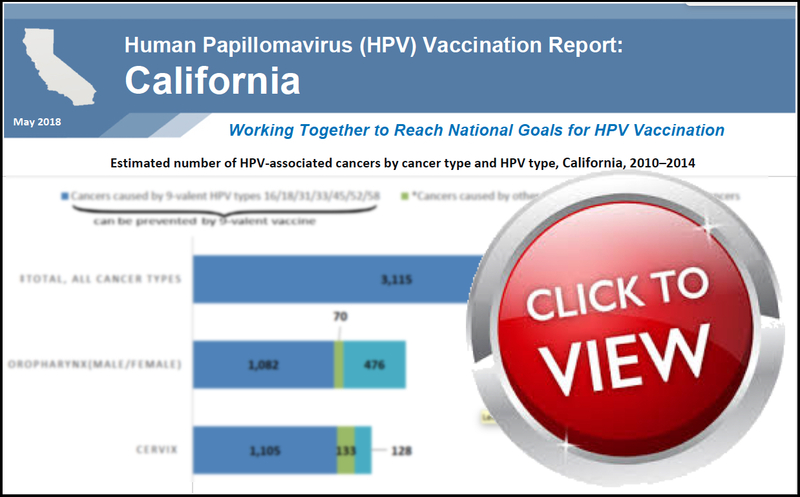 An opportunity to look at immunization record and recommend HPV. QUESTION: What additional resources would you need or consider useful? A brochure by Patient Point is very effective with patients/parents. 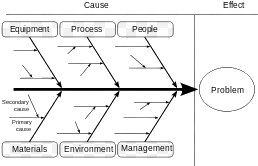 A PDSA worksheet would help to formalize in depth PDSA sheets development. Working with IT to develop an automated “text” reminder system. Printing the patient’s vaccine log to capture missed opportunities for all vaccines at all visits (well child, sick and urgent care). Assure a nursing follow-up appointment if parent wanted to think about the vaccine. Generated a call-back list when ran out of vaccines and utilized the Call Center to have patients return. Electronic health records and registries are not helpful in tracking patient populations.